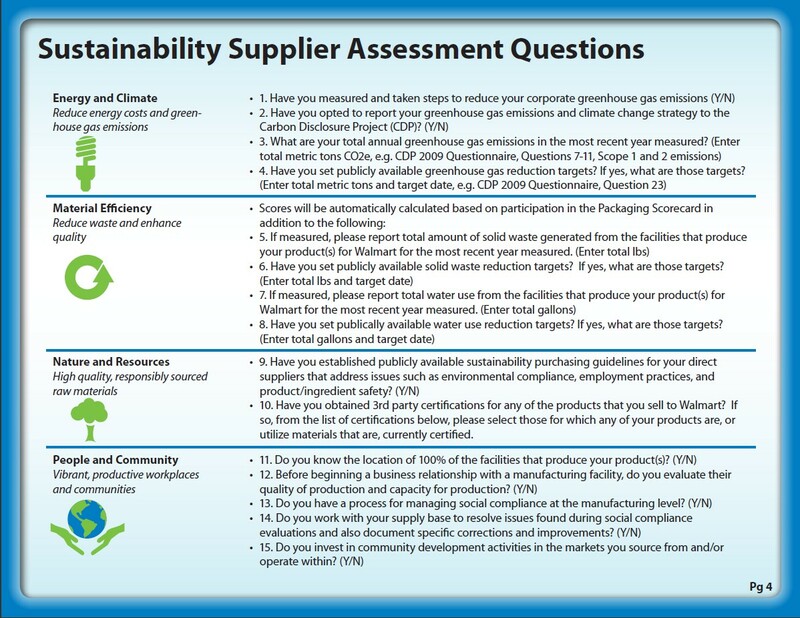 Late July 09, Wal-Mart announced plans to develop a worldwide sustainable product index, which is expected to lead to higher quality, lower costs and measure the sustainability of products and help customers, live better in the 21st century. This index will be build out of a 3 steps program, starting by the assessment of their 100 000 supplier base with a Supplier Sustainability Assessment. You can learn more about Wal-Mart initiative here, on their corporate sustainability web-page. It’s good to see that Walmart are embracing sustainability. Hopefully this will permeate through their global workforce and translate into greater social responsibility and corporate responsibility on their part as well as other major supermarkets.